The part of the world near the western Pacific Ocean is emerging as a future leader in the field of science and technology and it is gearing up for the next transformation in the near future. 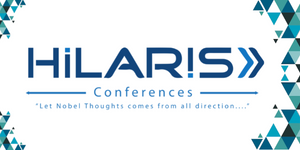 Hilaris Conferences and its summit on diverse topics will be a part of this journey by bringing experts and learners from all over the world to a single discussion table. Significantly it is the correct time to rely on the dynamism of the Asia Pacific region by organizing conferences, summit at various research hubs of the region. Come & join us at this festival of growth by attending the upcoming Asia Pacific Conferences.